This ready to move in home has a wonderful front porch to sit and relax on! The spacious backyard features a large deck and fenced in area with lots of trees. This home includes a nice Family Room with gas fireplace and a ceiling fan. The kitchen has a large island with stovetop, wall oven and microwave. The laundry is conveniently located off the kitchen which includes a breakfast nook with two large windows! The dining room has a large bay window with plenty of light to enjoy family dinners. There is a living room/office area on the main floor. The Master Bedroom has a ceiling fan and large closet. The Master Bath features two sinks, a large separate soaking tub and shower. The three other bedrooms on the top level include ceiling fans and share a nice full bath with new tile! Enjoy living in the highly sought-after Piedmont Hills neighborhood with lots walking trails, shopping and restaurants nearby! 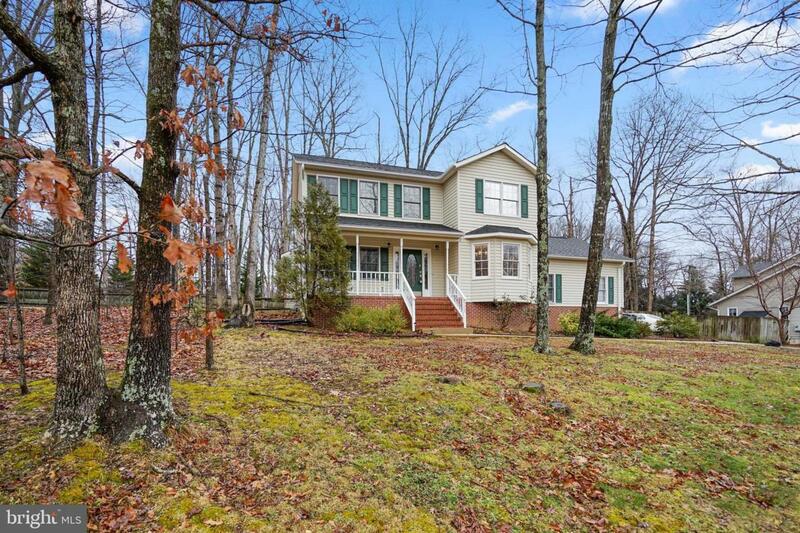 The home is very close to I-95 and the VRE! Many new updates including all new paint and flooring throughout! New roof in 2018! Tool Box in the Garage conveys. Listing courtesy of Re/Max Agility.